There are a variety of spices that can be used to bring an exotic flair to your cooking and baking! Spices like cardamom and saffron can be used to inspire your taste buds. 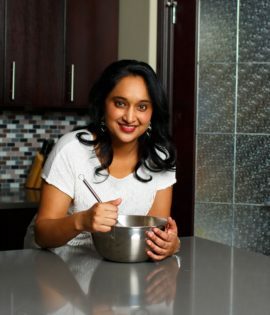 In this demo, I will teach you about different spices and how they can be incorporated into sweet and savoury creations. We will discuss flavours that work well together and encourage viewers to explore something new that they have never tried before. Adding spices to your vegetarian dishes gives them the added flavour needed to enhance your culinary experience! This demo will take you into the world of fusion cuisine and encourage you to step outside your box to make vegetarian food that much more tasty!